LOS ALTOS HILLS: THE MOST AFFLUENT COMMUNITY IN THE U.S. While Forbes ranked Atherton as the country’s priciest housing market as of late 2017, residents of nearby Los Altos Hills are actually the nation’s wealthiest. A 24/7 Wall St. analysis puts the median household income in Los Altos Hills at $243,701, about four times the California median income and the most in America. The Santa Clara County town of about 8,400 residents is one of just five communities in the U.S. where more than 50 percent of homes are worth more than $2 million. Los Altos Hills’ affluence is of course a direct result of Silicon Valley’s tech industry. As the Silicon Valley Business Journal reports, notable residents of the town — which has no businesses within its limits — including former Cisco Systems CEO John Chambers and Google CEO Sundar Pichai. 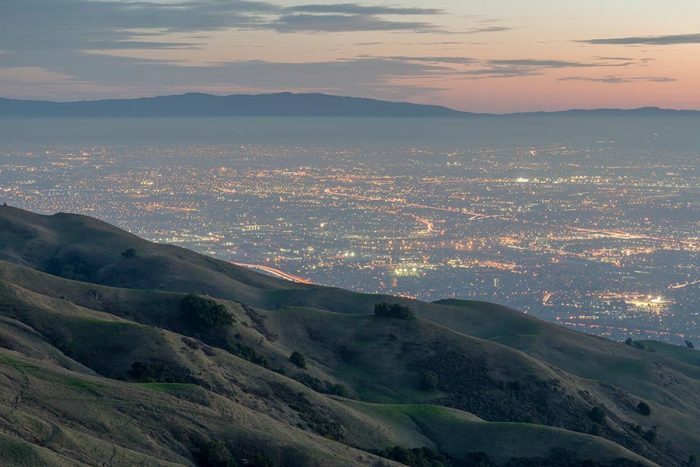 Last fall, Forbes put Los Altos Hills as the third most expensive ZIP code in the country, with a median sales price of $7.75 million for both single-family homes and condominiums. According to MLS data, the median price for a single-family home in Los Altos Hills was $5.35 million in May, with homes selling for an average of 99.7 percent of original price. Despite increasingly high prices, Oakland remains a favorable real estate market for investors, thanks to robust home price appreciation, rent increases, and demand for housing. That’s according to a recent SmartAsset study, which ranks the top U.S. 25 cities for real estate investors on a 100-point scale based on five criteria: property taxes, home-value-to-rental-cost ratio, home value appreciation, rental cost change, and demand. With a score of 77.02, Oakland ranks in the No. 10 position for best investment potential. Between 2012 and 2016, home values in Oakland appreciated by 63 percent, while rents grew by 22 percent. The Golden State is responsible for more than one-third of the cities on SmartAsset’s list, due largely to home price growth resulting from a lack of supply and insufficient new construction. California’s other housing markets with promising investment potential: Riverside (No. 5), Modesto (No. 12), Fremont (No. 13), Moreno Valley (No. 14), Anaheim (No. 18), Sacramento (No. 22), San Jose (No. 24), and Stockton (No. 25). For almost every month in recent memory, California has dominated the ranks of a monthly list of the hottest U.S. real estate markets. But the ranks have finally thinned, and only a handful of Golden State communities remain. Realtor.com’s list of May’s 25 hottest real estate markets, as judged by fastest pace of sales and most listing views on its website, says that just four of those are in California: San Francisco (No. 3), Vallejo (No. 5), Stockton (No. 7), and Sacramento (No. 12). As recently as March, California accounted for 11 of the country’s most in-demand housing markets. Home shoppers are obviously gravitating away from expensive coastal markets to more affordable inland areas, with Midwestern cities having a prominent presence on May’s hot-markets list. For the second straight month, the West Texas city of Midland landed in the No. 1 spot. Nationwide, homebuyer frenzy has taken hold in full force this spring, with prices climbing to an all-time high and properties selling faster than ever before. A press release from realtor.com says that the median pace for U.S. single-family homes and condominiums was $297,000 in May, a new record peak. Inventory declined by 6 percent year over year, causing the pace of sales to drop to 55 days, the fastest ever recorded in the month of May.